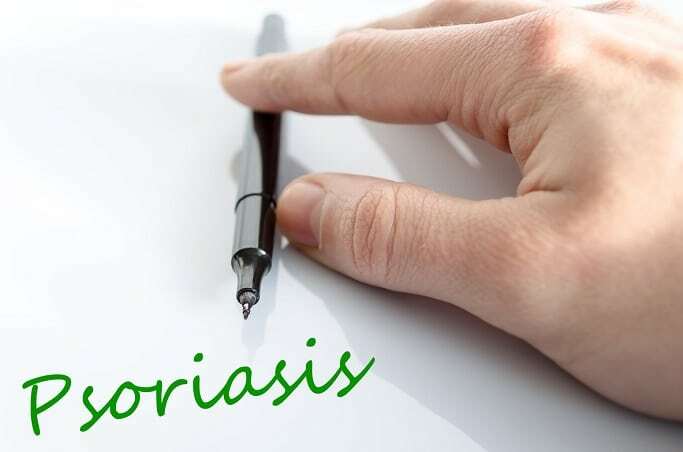 If you live with psoriasis, you know that it is downright debilitating, especially if you suffer from a very severe case of it. Even though there are no permanent cures or treatments for psoriasis, there are many different natural treatments that you can try from the comfort of your own home. Keep in mind that everybody is different, so what works for someone else might not work for you. At any rate, these following treatment options, especially when used in combination, can be quite effective at relieving the pain, dryness, and itchiness associated with psoriasis. One of the most effective treatments for psoriasis is capsaicin, or more accurately, some kind of cream or solution that contains it. You may recognize capsaicin as the substance that makes hot peppers so spicy. Yes, when you apply an ointment to your skin that contains capsaicin, at first it will burn like nothing else. There will be some fairly intense pain because the skin is already irritated. However, this pain quickly goes away and is then followed by the relief of pain and itching. Capsaicin cream will help to reduce pain, itching, redness, and swelling in the long run. Make sure to consult a doctor before using capsaicin cream because it can have adverse reactions with other medications. Apple cider vinegar is one of the most widely used natural remedies for many different afflictions. ACV is full of anti-inflammatories, raw enzymes with various benefits, healthy bacteria, and is shown to greatly improve a wide array of bodily functions. You don’t want to apply apple cider vinegar in huge quantities, nor do you want to apply it too often because it is high in acid. The high acidic content of apple cider vinegar can damage the skin if used too often. However, an occasional washing or rinsing with apple cider vinegar is shown to help relieve the redness and itching caused by psoriasis, especially when it comes to scalp psoriasis. Some people also dilute some apple cider vinegar in water for drinking. You might want to add a bit of lemon juice to make it taste better, but it is shown that the anti-inflammatory properties can do good when consumed orally. Yet another natural psoriasis treatment is the oatmeal bath. Oatmeal is used to relieve the symptoms caused by many different skin conditions including psoriasis. Oatmeal contains minerals that are shown to be beneficial for the healing of the skin, such as selenium, magnesium, and iron. Taking a bath with colloidal oatmeal is shown to help reduce the redness, inflammation, and itching caused by psoriasis, which is why many people also use the oatmeal bath for chickenpox. The best way is to use oatmeal powder. Another thing you can do is to take a salt bath. You can use Epsom salt or Dead Sea salt to help offer you temporary relief from itching, dryness, and redness. To help remove the dead skin, scales, and itching, you should add about 2 cups of Epson or Dead Sea salt to your bath water. Make sure that the bath water is warm, but no hotter. Hot water will do you no favors when it comes to psoriasis and will in fact only make things worse. Soak in the salt bath for 15 to 30 minutes to achieve some temporary relief. On a side note, when you have psoriasis, make sure to bathe in cool or warm water, don’t scrub your skin because that will only irritate it. When the air is dry outside, it is recommended that you bathe 3 times per week at most in order to stop the skin from becoming even drier and more inflamed. One of the worst things about psoriasis is that it dries out your skin to a very high degree. Therefore, what is usually recommended is a whole lot of moisturizing. Many doctors will recommend extra virgin olive oil and other vegetable-based oils. They will help moisturize the skin and keep the moisture in. Generally speaking, this is one of the easiest, fastest, and most effective solutions for treating the dryness and itchiness associated with psoriasis. Another thing that you can do is to get a humidifier. Being in the humid air as opposed to dry air is shown to be quite effective as well. Oregon grape is shown to contain several different substances which can help to regulate the body’s immune system and its response to various so-called threats. Specifically, these substances help to control the immune system’s response which can cause psoriasis flare-ups to occur. The best way to use Oregon grape is to get a topical lotion with at least 10% Oregon grape. Aloe Vera has been in use for thousands of years as a natural skin treatment solution. It has the ability to moisturize and soothe dry and itchy skin, which is why it is often used as a treatment for sunburn. For people who suffer from psoriasis, Aloe Vera can greatly reduce itching and scales. One of the number one dietary treatments for alleviating the effects of psoriasis is to cut out sugar from your diet. Sugar is shown to have detrimental effects on the skin, so cutting out as much sugar as possible is shown to go a long way in reducing the number of psoriasis flare-ups and their severity. One of the best, easiest, and cheapest treatments for psoriasis is sunlight. The activation of vitamin D caused by exposure to UV rays from the sun is shown to be very beneficial for psoriasis symptoms. Spending a good 30 minutes in the sun on a daily basis can help reduce the itchiness and pain caused by psoriasis. As you can see, there are many different psoriasis natural treatment options. If one does not work for you, you can always try another, or even a combination of them. If you’re looking for a ready to buy cream for Psoriasis that works, then read Revitol Dermasis Psoriasis Cream Review.